Building good credit is extremely important, but it can be very extremely difficult if you lack financial resources and support. That is why Esusu created a rotational savings smartphone app. This app lets individuals form groups of trusted friends & family, pool and withdraw capital to make big purchases-like down payments on a house or launching a business. Transactions are then reported to the credit bureaus in order to help build and establish individuals’ credit. 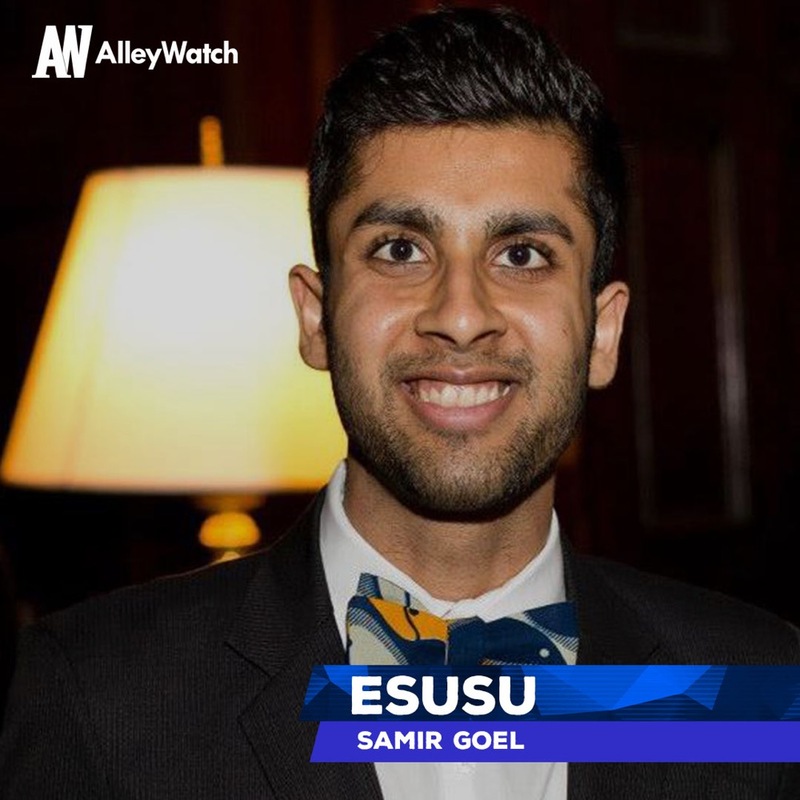 The startup has created targeted financial tools that will help immigrant and minority groups better their financial situations through an easy-to-use platform. 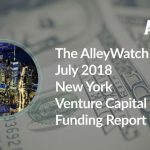 AlleyWatch spoke with cofounders Samir Goel and Wemimo Abbey about the company’s fundraising round and why building a socially-minded, fintech company is so important. Esusu raised a total of $400K from a combination of institutional investors and friends & family. 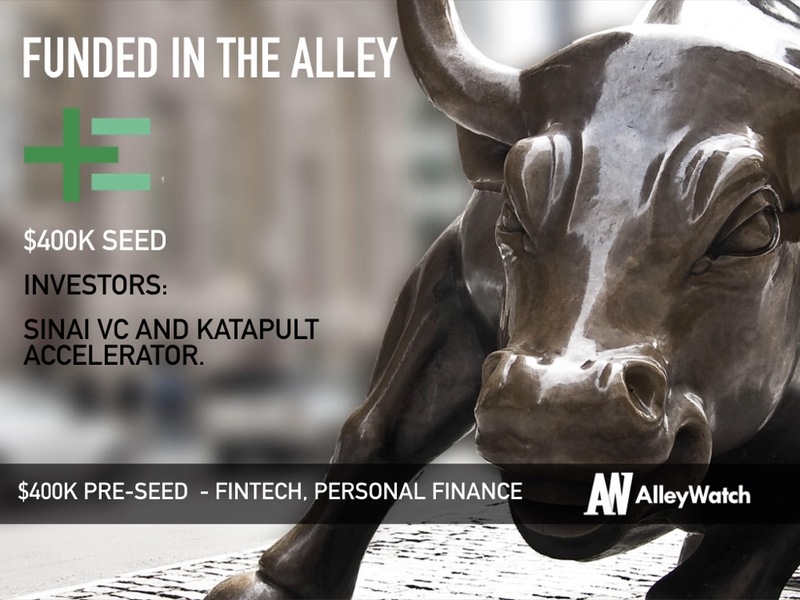 Our pre-seed round was led by Sinai Ventures and Katapult Accelerator. The remainder of the round was filled out by ~25 friends and family investments ranging from $1K to $15K. Tell us about the product or service that Esusu offers. (1) Our core product is a rotational savings smartphone application that allows individuals to form groups of trusted friends & family, pool capital, and take turns withdrawing from this pot to make ‘big ticket’ purchases such as down payment on a house, launching a business, or travel. We report these transactions into the credit bureaus to help individuals establish and build credit. (2) We offer a rental data reporting service to build credit through partnering with property managers and public housing authorities or working directly with consumers. We report people’s payment history to the credit bureaus as less than 1% of credit files include rent yet it is most people’s largest and most consistent payment. (3) We deliver financial literacy content to colleges and universities to better prepare students to manage their personal finances post-graduation. We focus on a high engagement model rather than electronic or modular content. What inspired you to start Esusu? Esusu stemmed from our personal experiences as immigrants dealing with the financial system in America. We saw the pain points that many in the communities we come from face and were determined not just to talk about it but to do something about it. Our mission is to build tools that cultivate financially healthy communities and our vision to generate equitable financial access for everyone. Each of our business lines and products helps execute against that purpose. (1) Our approach is derived from our personal experiences and those in many immigrant and minority communities. We built a product to meet our target customers where they are and to uniquely address their pain points. By relying up a system that is culturally familiar and relevant, we are able to engage people on a path that will take them into financial integration. (2) We leverage a B2B user acquisition and revenue model. By partnering with CDFIs & Community Banks, Non-profits, and Universities we are able to reach a much larger audience and dramatically increase our scaling process. 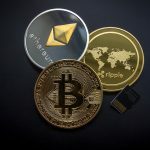 (3) We’ve built multiple sources of revenue and are constantly deepening their connective tissue to create a ‘full stack’ solution. Each of our business lines stems from our community members needs and requests. Credit Building and Financial Literacy were the most consistent gaps for our core community. What market does Esusu target and how big is it? Esusu is primarily focused on first and second generation immigrants which total to about 84M individuals. Our secondary market is college students which is approximately 20M individuals. Accounting for some crossover our current target market is ~100M. According to the latest research from the Center for Financial Services Innovation over 57% of American adults are considered to be financially unhealthy, so we see an even larger market opportunity. However, we are focused on the immigrant market. This community will be the most intrinsically familiar with our product and will be where we can drive the most impact. From this group of early adopters, we can then work towards connecting with a broader audience. Our core rotational savings product charges a $10 subscription fee per group per cycle distributed across each group member. If you are in a group of 10 people you will pay ~$1 per month. We’ve found significant success in partnering with CDFI’s, Community Banks, and Financial Centers to offer these services to their clients with additional support on an enterprise contract. Our newest business line is rental reporting a process whereby we report people’s rental payments into the credit bureaus to help them build their credit score. We charge a registration fee and an annual or monthly subscription fee. Similar to the ROSCA app, we’ve focused on partnering with Public Housing Authorities and Property Managers and signing larger scale deals for their properties and tenants. Finally, we partner with Universities to deliver financial literacy and job readiness content to their student bodies. The student debt crisis is a ticking time bomb and most students graduate without a basic understanding of personal finances let alone critical topics such as retirement accounts, taxes, and insurance. We deliver semester or year-long programs to universities. Each of our business lines interconnects to serve as a business development and user acquisition pipeline for other products and services. We aim to develop a fully integrated solution to driving equitable financial access. You raised a relatively small amount as compared to other fundings in NYC. What’s the rationale behind this? Are you extremely capital efficient? There are a few reasons behind this. The first is that raising capital takes time, and whether you like it or not the fundraising process begins to take away from building the actual company. We were very cognizant of this, so we intentionally raised enough money to focus on building an exceptional company at this critical juncture in our growth. This round our focus is on building user growth and revenue numbers so that later rounds are data-driven. The final reason is that we have a number of growth channels that are working, and over the next quarter we’re doubling down on all of them. By the end of 2018, we want to identify which subset of these strategies work the best and are the most efficient, which will enable us to articulate the most impactful ROI to potential investors during our next round. 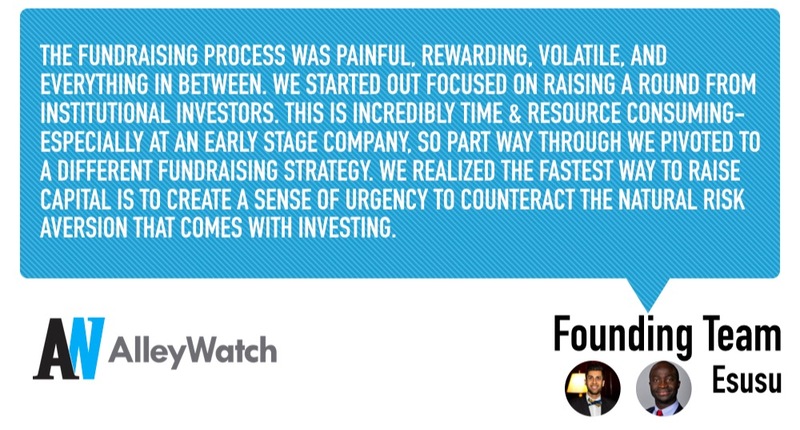 The fundraising process was painful, rewarding, volatile, and everything in between. We started out focused on raising a round from institutional investors. This is incredibly time & resource consuming- especially at an early stage company, so part way through we pivoted to a different fundraising strategy. We realized the fastest way to raise capital is to create a sense of urgency to counteract the natural risk aversion that comes with investing. To accomplish this feat, we emailed around 100 friends and professional contacts with the opportunity to invest on a rapidly expiring deadline. We provided standardized terms and gave people two weeks to make a decision. We also gave open access to any documentation needed to make a decision and limited investment checks to between $2K-$15K. This approach yielded immediate results and drove our fundraising process forward. From there, we secured an investment from Sinai Ventures. Sinai stood out from other firms for a few reasons: its partnership with its portfolio companies, reputation in the marketplace, and its interest in expanding into social impact investments. The final piece of the puzzle was getting Katapult Accelerator to close the round. This was unexpected, but we ended up being one of the twelve come companies selected- from a global pool of 1.5K- to join its program. We learned very early on that the worst type of investors are a ‘maybe’. This was our biggest challenge. A ‘yes’ or a ‘no’ response gives you clarity and a path forward. A ‘maybe’ means that you will jump through endless hoops with a low probability of success. The reality is that if it’s not a ‘hell yes’ it will probably be an eventual no. Since we’re an early stage company, investors cannot really look at our track record. Instead, they’re focused on the team, product-market fit, and the opportunity size. Esusu met investors’ expectations in all three of these domains. Additionally, our social impact was also a winning factor because many investors and VC firms are more cognizant about the social returns of their investments. By the end of the calendar year, Esusu has a few critical goals including: $100K ARR, 10,000+ users, 5+ Enterprise Contracts in each of our core business lines, $500K in money saved by Esuus users, and 20+ points average increase in credit score for app users or rent reporting customers. Get creative and be scrappy! There is no right path to building a business and entrepreneurs often fall in the path of trying to live the Silicon Valley story. Instead, figure out what your customers or users need and find the most efficient way to provide a solution. Company founders- where possible- should also inject their personal capital into the business. It shows they are invested, which in most cases impress investors. For almost two years we were juggling a full-time job with Esusu, and every non-essential we earned went straight into the business. Furthermore, options such as debt, friends & family, strategic partners, etc. are not considered nearly as much as they should be compared to VC money. VC money is excellent when you are looking to accelerate and scale, but during different business stages, considering alternative types of capital may be more accessible and effective. Our advice would be to understand what type and scale of capital best matches your business model/growth strategy and focus there. 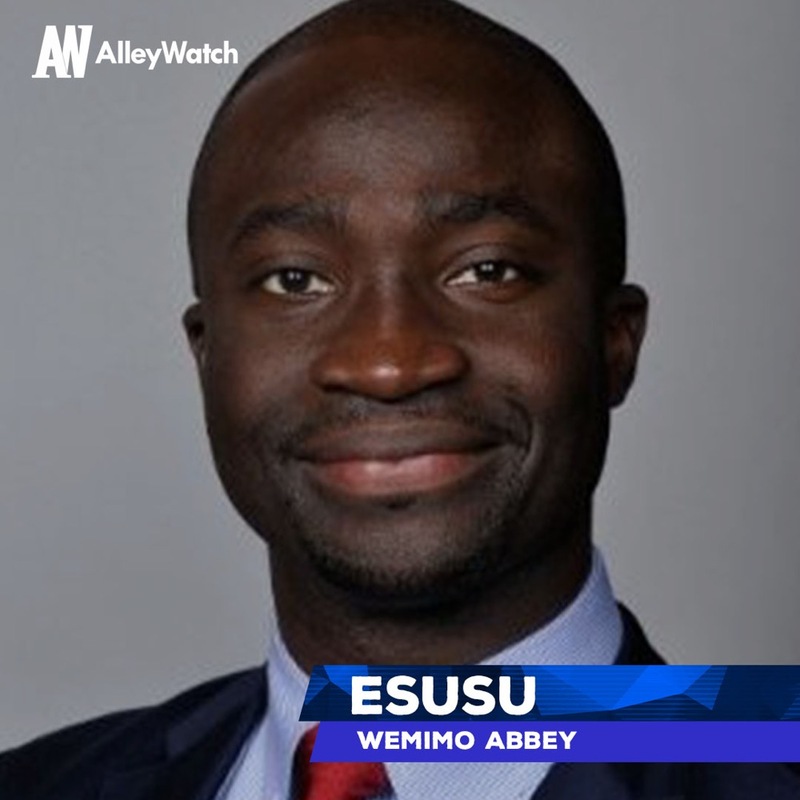 Over the past year, Esusu has focused on putting all the necessary components in place to create a rock-solid company foundation. We’ve spent countless hours iterating on our product, developing the necessary processes to pass regulatory muster, building a strong team, and most recently raising the necessary capital. Now it’s all about execution and scale. In the near term, we hope to build trust with our community members and further develop a user-centric product that helps pave a permanent bridge to financial access and inclusion. Beyond that, our core focus is growth. Over the coming months, we will be laser-focused on partnerships, sales, and above all user growth and acquisition. We already have a very high retention rate for individual users and enterprise customers, so it’s all about building our pipeline and converting them to community members. Once they join whether as a client or a user, it’s unlikely that we will lose them. Samir: This is tough. I’m a dessert person so I’d say my favorite choice would be Momofuku Noodle & Milk Bar combo. Alternatively anywhere with great pancakes for a ‘breakfast for dinner’ option. Wemimo: Bsquared Harlem. They have a fascinating menu and great ambiance.